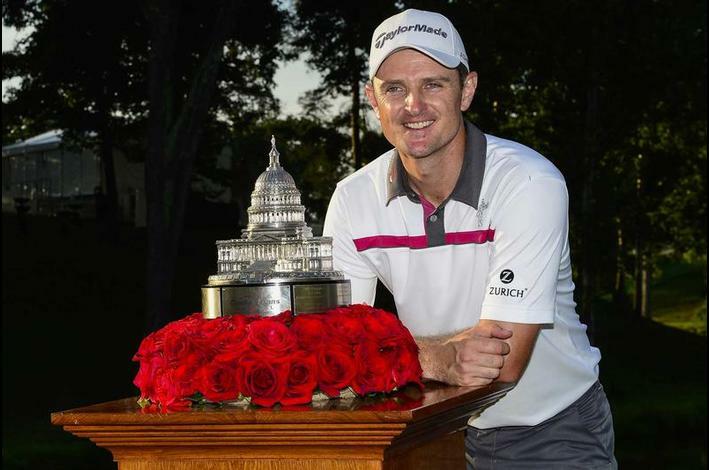 Justin Rose gets his sixth PGA win in the first playoff of his career in the nation’s capital. The Blue Course at Congressional was ready to bite this weekend as the tour players began to look ahead to the Open Championship in three weeks. In fact, the tournament yielded its highest winning score (280) since the tournament’s inception in 2007. 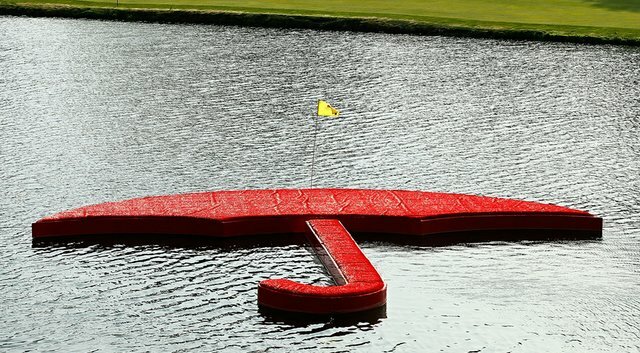 The score was shared by Justin Rose and Shawn Stefani, after Rose put a ball in the water on 18 and managed to make a clutch, bogey-saving putt. When Stefani dumped his ball in the water on the first playoff hole, Rose cruised in with a par to win his sixth PGA tournament. For most people, Rose was the heavy favorite in the playoff to begin with, and no connection could be made between the two golfers. However, you may remember that in Rose’s best win to date, the 2013 U.S. Open at Merion, Shawn Stefani also made history by being the first player to hit a hole in one at Merion during a U.S. Open. And what an incredible hole in one it was. Still, much like the U.S. Open, Rose ultimately walked away victorious. Although Tiger Woods stuck around on the weekend, it was only to present the trophy on Sunday, as he made a quick exit from the tournament after two rounds over-par to kick off his comeback tour. Now, the question remains as to how Woods will prepare for the Open Championship, when he clearly has a ways to go to be tournament ready. He could choose to train solely outside the ropes, physically and mentally preparing on his own, or he could sign up for another tournament last-minute and get one more chance inside the ropes to clear his mind and body. If he opts for the latter, his options will be the John Deere Classic, where Jordan Spieth will be defending his first and only PGA Tour Win, or the Scottish Open, held across the pond on a links course that will provide a similar, albeit less demanding test to that of Royal Liverpool in the Open Championship. While the future of Woods’ game is unknown, the rustiness and non-Tiger-like performance we saw this past week was to be expected, and by many experts, as well as our very own Jon Costin (see below), predicted. And for the rest of our picks, with Dufner joining Woods as an unexpected player to miss the cut, 6 of our 7 players in the foursomes making the cut, and Jon picking the winner in Rose; I’d say we made up for a poor effort at the Travelers. Check out our results below, and then it’s onward to the Greenbrier Classic! Tom: Brandt Snedeker followed his strong U.S. Open performance with a T11 effort at the Travelers. Add in an affinity for the Blue Course, where he has notched three top 10s in four appearances at Congressional. 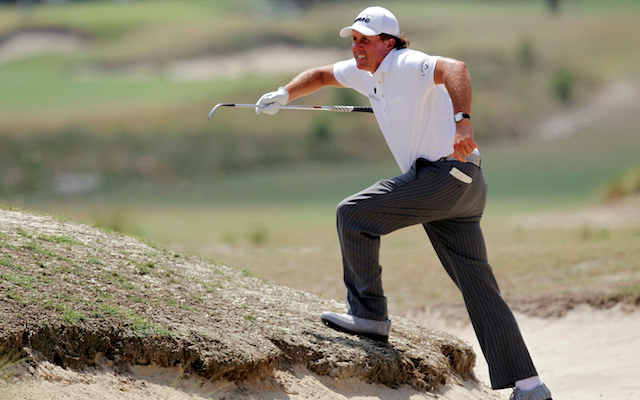 Now add a T11 at the 2011 U.S. Open at Congressional, and you’ve got yourself a safe bet. 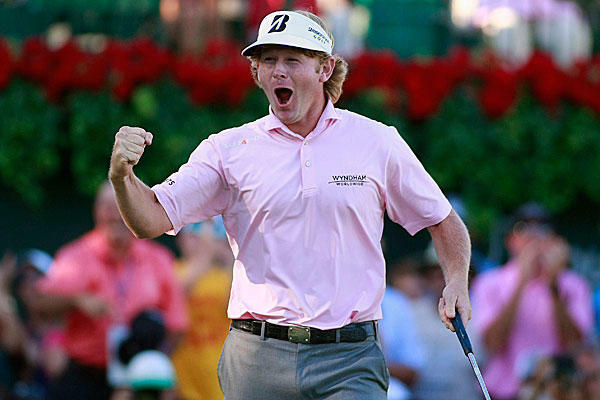 Here is a face we haven’t seen from Brandt Snedeker all season. If he finds his way back to the winner’s circle this week, we could see a dangerous Snedeker the rest of the season. Jon: I, too, will follow course and, for all the reasons listed above, go with Brandt Snedeker. Consistency will be the name of the game this week as Congressional is a longer course. More fairways hit equals a better chance for victory, plain and simple. Tom: Despite being a perennial late-round pick, BYU grad Daniel Summerhays always seems to find his way into fantasy relevance by sporadically popping up on the leaderboard throughout the season. If you’ve ever had him on your fantasy team, you know that several times he’ll be leading the pack on Thursday and Friday, or your only hope on the weekend. While I have no grand insight behind this pick, Summerhays simply seems to find his way onto the leaderboard when you least expect it. Jon: Picking a dark horse this week is like blind-folding yourself, standing on one leg and throwing a dart for a bullseye with your non-dominant hand. The experts have picked all sorts of sleepers this week, and it seems nearly impossible to pick a real dark horse to win (see: Streelman last week); thus, I’m going with Carl Pettersson. In his last two tournaments, the Travelers and the St. Jude, the Swede shot under par every round netting him a T7 and a T3, respectively. 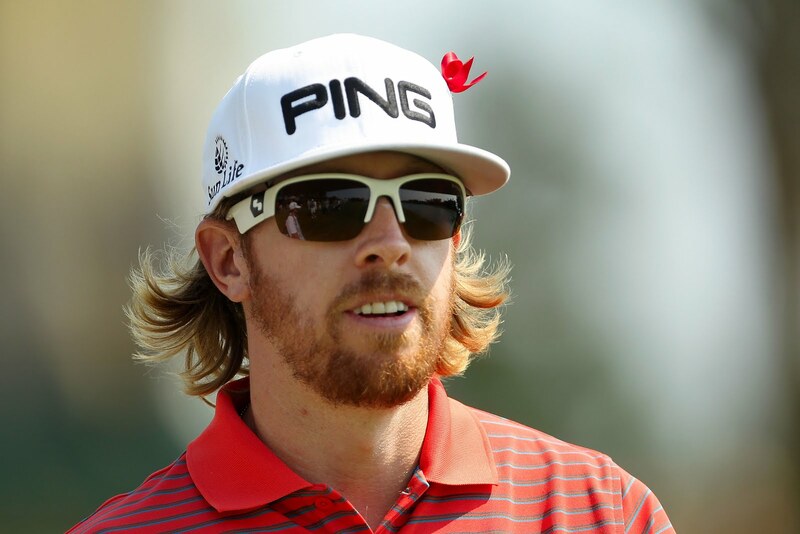 Hopefully he can carry that momentum into the Quicken Loans National. Tom: This course seems like it should perfectly fit the eye of a dart-thrower like Jason Dufner… Which is exactly why he’ll do what you least expect and blow a few easy shots and short putts to miss the cut. Jon: I’m not sure if my pick is “unexpected,” but the collective media be scrambling when Tiger Woods isn’t playing on Saturday and Sunday. As hyper-competitive as Tiger is, something tells me – actually, Tiger told us – that he rushed back to make this tournament, benefiting his foundation, and won’t be at full Tiger strength this week. Tom: With Tiger Woods back, there is one player who can recently relate to receiving mass amounts of scrutiny. With many of those eyes turned back to Tiger, Jordan Spieth will get back to playing his game – the game that took him to a near Masters title, a top 5 in the Players, and three other top 10s on the season. He’ll be playing the first two rounds with Tiger, but the pressure will be partly off his shoulders. 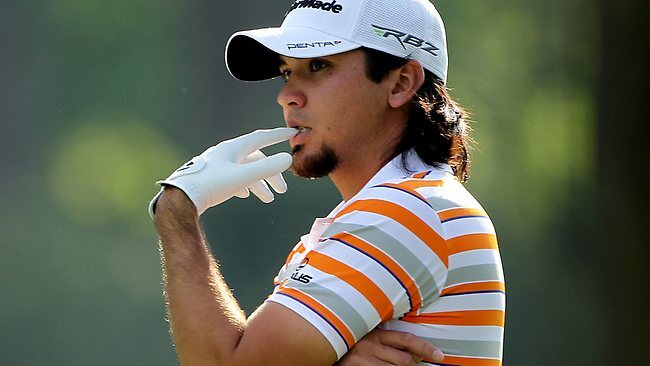 Jon: It seems like everyone is picking Jason Day to win this, but I’m pulling double-duty with the Sned man. For all the same reasons listed above, Brandt has to return to the winner’s circle sometime, so why not at Congressional? Jordan Spieth returns to action and will hope to continue his reign of consistency. I’m going with some young bombers on a course that demands it this week. And before you crucify me for not betting on my own “safe bet,” know that I wrestled with this list. I still think that Snedeker is the safest bet this week based on logic, but logic seems to fail me week after week in this crazy little thing called fantasy golf. Billy Horschel, like Sneds, has turned it on as of late and is poised to continue his streak of high finishes, Gary Woodland is a threat any time the big stick is required, and Kevin Chappell is a newer name who has had success on this course and throughout this season, albeit on a limited basis. I think I’ve exhausted my Sneds talk as clearly Tom and I both think he’s the favorite to win. Where Tom is going with some young guns, I’m going with some seasoned veterans – except Jordan Spieth, who I just can’t seem to bet against. Justin Rose has been playing well as of late and Jason Day has proven both Tom and I wrong in the past two weeks for being in better shape than we thought. Between the two of us, we’ve got to get at least one of these picks to land this week. Tiger Woods. And that’s a rap. Just kidding, but seriously, this week marks the unlikely and unexpected return of Tiger, which of course has taken care of all the headlines since his announcement late last week, and of course makes the game relevant for the masses once again. I can’t say I disagree that the season’s first two majors missed something with Tiger’s absence, so his return this week is a good sign for the Open Championship, as long as he doesn’t regress or re-injure. I also agree with the common explanation that Tiger’s return this week is merely his way of getting tournament ready for the next major that is a little over three weeks away. Sure, Tiger is not one to tee it up and not think about winning, but he is only three months removed from back surgery, and has only been taking full swings again in recent weeks. There is also the factor that the Quicken Loans National (naming bought from AT&T earlier this year) is sponsored by and benefits Tiger Woods’ foundation. Again, Tiger does not seem the type to rush a comeback before he’s truly golf ready, but regardless of his motivations to play this week, I think it is safe to take a “wait and see” approach before predicting him to get back in, or even close to, the winner’s circle. For now, we’ll humor Tiger and Tiger’s headlines, but also move on to discuss the other factors in play this week. Quicken Loans National is played on the Blue Course at Congressional Country Club, designed in 1924 by Devereux Emmet, redesigned by Robert Trent Jones and several others, and known for being, due to its close proximity to the nation’s capital, the home club of several past presidents. It is best known recently, however, for being destroyed by Rory McIlroy in the 2011 U.S. Open, where he broke several records and won by a margin of 8 strokes. Last year, Bill Haas got the victory with a Sunday 66 to finish at 12-under par. Playing as long as 7,569 yards, Congressional is the second-longest par 71 on tour, behind Torrey Pines South. There are several other notable players in the field who have had success at Congressional in recent years. Jordan Spieth and Brandt Snedeker, who has been in good form since the U.S. Open, both notched top 10s at this tournament last year. Jason Day finished in the top 10 after finishing in solo-second at 8-under par in the U.S. Open (a score that would have won almost any other Open). And Nick Watney, who we haven’t heard much from this year, finished in the top 10 in 2012 and is coming off a T11 at the Travelers. Watney clearly prefers Aronimink Golf Club, where the tournament was displaced during the two years Congressional was preparing for and hosting the U.S. Open – in those two tournaments Watney earned a T7, a win, a share of the 18 hole record, and a share of the 72 hole record. But based on his success last week, and his success at Congressional in 2012, he could just be at his best this time of year. Regardless of present form and who comes to play this week, Congressional is sure to provide its annual, above-average test, and only a player who can keep it in play off the tee and maintain precision on his approach shots will be able to hold off the field. People will come for the Tiger, and stay for the drama. Stay tuned for our predictions. It was said time and time again this past week: The Travelers Championship is a tournament that demands a lot of birdies. And after a test like the U.S. Open, the birdie-friendly TPC River Highlands is a course welcomed by pros and fans alike. But none welcomed the birdies quite like, or as much as, Kevin Streelman, who shot a record-setting 7-straight birdies to close his round on Sunday and win by one stroke. 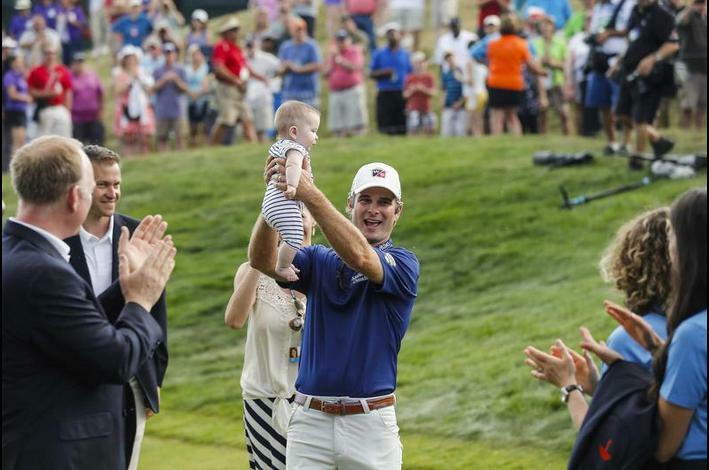 Kevin Streelman hoists Sophia, his newborn girl, in celebration after becoming the 2014 Travelers Champion. 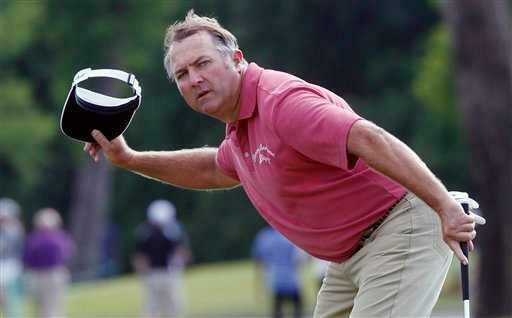 Streelman would have been the ultimate dark horse pick. He was coming off 4-straight missed cuts, and save for a 3rd place finish in the Hyundai Tournament of Champions and its limited field, he has only one other top 20 finish on the season, a T14 at the Wells Fargo Championship. This is Streelman’s second career win on the PGA Tour, his first coming last year in Tampa Bay. Streelman, who is enjoying having a newborn and his first child at home, paid no attention to all the hype directed toward Bubba Watson, Matt Kuchar, Dustin Johnson, and so on, and instead kept his head down, made 10 one-putts including 8 birdies in his final 10 holes, and soared to a victory over seasoned pros in K.J. Choi and Sergio Garcia. As for our predictions… well you can see for yourself below, but suffice it to say the invitations to the birdie fest were lost on our favorites. When the highest finish among our picks is a T18, there is not much to report. The majority of our players ended in a traffic jam at -6, and though we made our picks on the conservative side, it seemed as though the big names projected to be in contention could never even get into the conversation on the weekend. Sure, it wasn’t the most unexpected tournament of the century. Aside from Bubba, the safest bet based on recent course performances was Ryan Moore, who held the 54-hole lead before slipping to a T5 finish. Brandt Snedeker followed up a strong Open performance with a T11, and Marc Leishman, who won the tournament a couple years ago got back to double-digits under par. Still, betting in golf is a fickle thing, and while it may cause lots of frustration and headache, it is this unpredictable nature that makes us love the sport and keep coming back to it. Check out our results below, as we focus on trying to give some more reliable predictions at the Quicken Loans National. This Thursday marks the start of the Travelers Championship at TPC River Highlands in Cromwell, Conn. With the U.S. open occurring last week, The Traveler’s tends to look like Shia Labeouf standing next to Ryan Gosling at first glance. However, the Traveler’s Championship is will provide a great counter-part to the U.S. Open, in that it is sure to provide lots of birdie and eagle opportunities. In the past three years, the scores that have won the Travelers have read -12, -14, and a startling -20 from Freddie Jacobson in 2011. 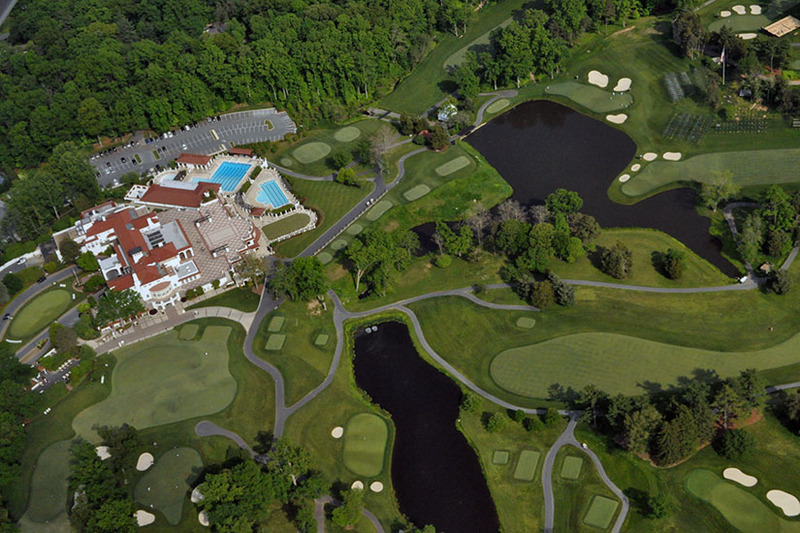 At 6,844 yards, TPC River Highlands is a shorter course which is a big reason for the lower scoring. Compare that yardage with Augusta National at 7,435 yards, and TPC Sawgrass at 7,215 yards and you can see why the big hitters have a leg up at River Highlands. The course has been called a “quick study,” that younger players can learn quickly, which is another reason why so many find success in Cromwell. 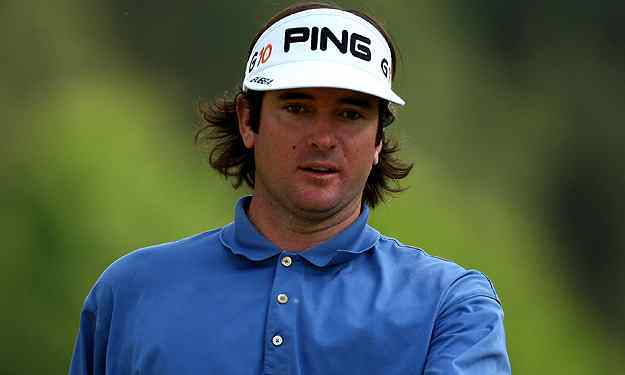 In the past four years, the winners of the Travelers Championship claimed their first PGA victory at River Highlands, including Bubba Watson in 2010 after missing the U.S. Open. 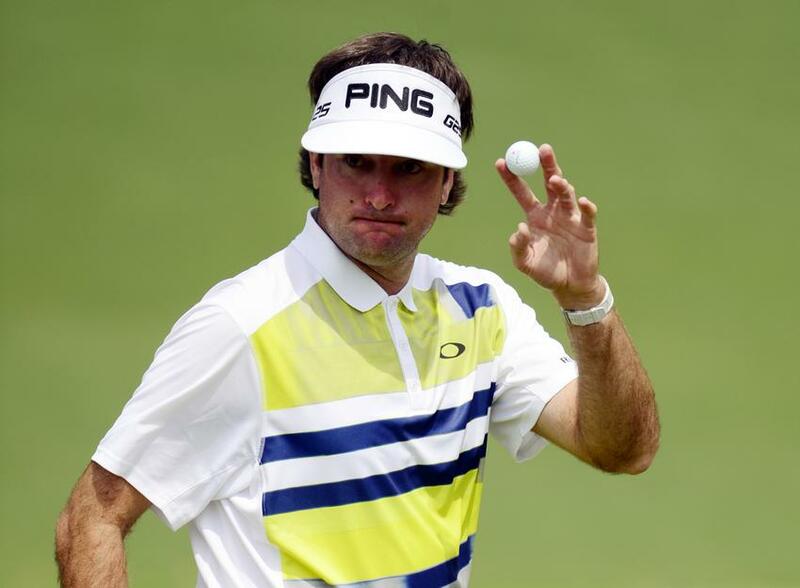 Speaking of the southern lefty, Bubba is the favorite to win this week, as he not only won in 2010, but also was a runner up in 2012 and notched a 4th place finish in last year’s tournament. Bubba actually held a share of a 54-hole lead last year, until he had a bit of a melt down, when he duffed one into the water, and blamed his caddie for picking the wrong club. Other big names in the field include Matt Kuchar, Jason Day, Dustin Johnson, Keegan Bradley and last years champion, Ken Duke. 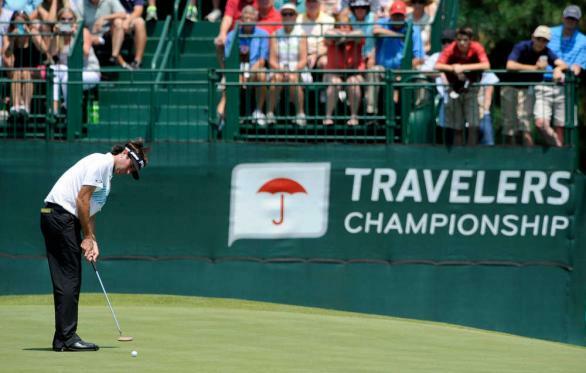 The Travelers Championship is sure to provide a lot of fun as some of the worlds best will be throwing some darts in Connecticut this weekend. Stay tuned for our predictions! Now two-time major winner, Martin Kaymer ran away in a U.S. Open race that was never even close. So, that was the U.S. Open. I’ve said this before, but because there is so much hype for majors, and because the strength of the field and difficulty of the courses makes for such a naturally exciting stage, these tournaments seem to blow by so quickly. If, on rare occasion, you have one player completely run away from the field with two historic rounds on Thursday and Friday, it goes by even quicker. That was certainly the case this year when Martin Kaymer shot back to back 65s – a career low in the U.S. Open – and never looked back. And what did we, as brand new, freshly-minted fantasy golf analysts, learn? Well for one, we learned that beginning your predictions on the U.S. Open is a daunting task, as it is probably the most difficult tournament to predict. 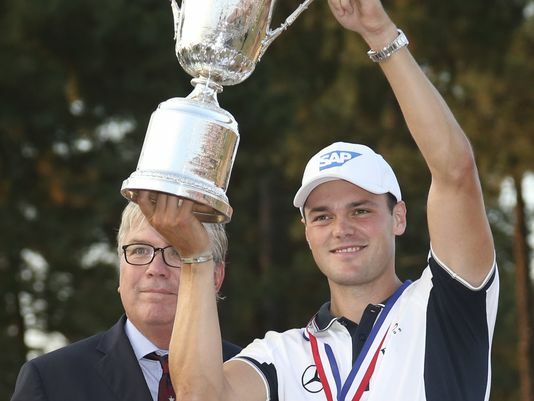 Still, Martin Kaymer would not have been a long shot, or by any means a bad pick, as he did look absolutely machine-like in his win at the Players a few weeks ago, the tournament with the second-strongest field leading up to the Open. Now, Kaymer not only has the two best quality wins of any player, but he did so in two wire-to-wire wins, which is unfathomable. Fantasy-wise, you can go one of two ways moving forward. 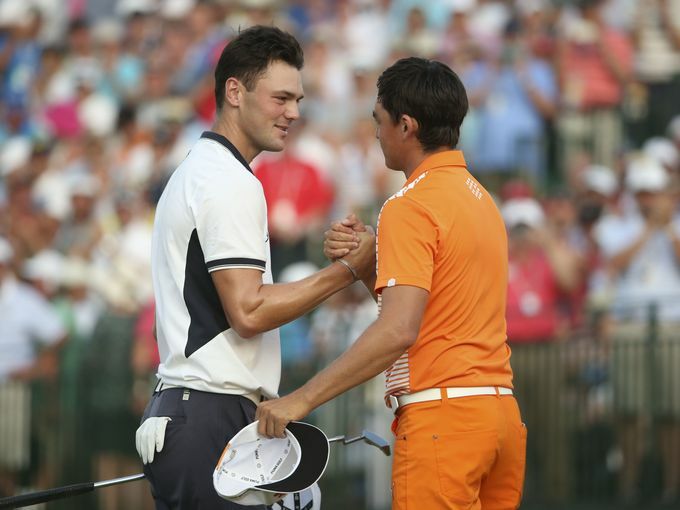 Either pick with the belief that Kaymer is playing on a completely different, uncatchable level, which means he’ll have one or more quality wins this season; or, that he has hit his plateau and will coast through the rest of the season with out any serious highlights (until, maybe, the Ryder Cup). Deciding on this is like deciding whether or not to hit on 14 and 15 in black jack, either choice is acceptable, but make sure to stick with your game plan. As for the non-Kaymer side of the tournament, we saw a few things of interest. Below, you can see just how well – or poorly, in this case – we picked. Rickie Fowler notched his best finish in a major with a tie for second, and Erik Compton is clearly the guy we should have picked in the “golfer people should know about” category, after tying Fowler for second. And what a story this guy carries with him. Having undergone two heart transplants in his history, Compton had to go through sectional qualifiers to get into this year’s U.S. Open field. He did so in a playoff in Columbus, OH – which also happens to be the hometown of the original owner of Compton’s third heart. This man was a fellow athlete, poised to become an Olympic volleyball player. Heart is perhaps the best word to describe Compton’s four days at Pinehurst, whose name is one that should not be forgotten. Our picks were not a complete bust, either. Everyone in Dave’s foursome ended in the top 15, Jon made the wise call that Bubba would miss the cut at a major that clearly doesn’t suit his eye, and my top pick, Brandt Snedeker, had his first top 10 of the season, including a red hot 31 in his opening 9 on Thursday. However, this U.S. Open, at the roughless Pinehurst No. 2, turned into a rather boring Kaymer coast to the finish line. Phil could never get into the mix after a Friday 73, and no one else could stay consistent enough to put any pressure on the now two-time major winner. Take a look below at the results of our picks, and to ourselves we say, better luck next time. *Silver lining: Kevin Stadler and Russell Henley both holed out from distance.